Unit Sizes: 557 to 1,123sq. 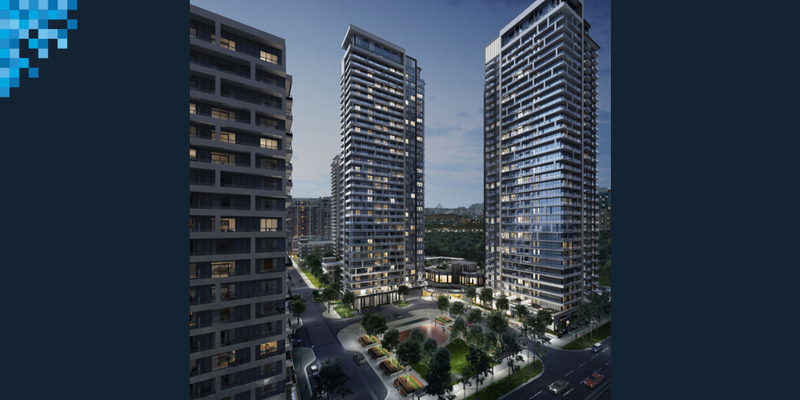 ft.
Riverview Condos is the fourth phase of the Uptown Markham masterplan by Times Group that is transforming the stretch of Highway 7 to the east of Warden Avenue. The development consists of three towers – building A, building B and building C. Building A was released recently and sold out quickly. Located on the south side of the development, buildings A and B will be joined together by a two-storey amenities pavilion that will house such features as a games room, library, dining room, swimming pool, and a state-of-the-art gym. The courtyard in front of the three buildings will feature a small park and children’s playground, providing a pleasant space for residents to sit and enjoy themselves. Building C will stand by itself on the north side of the development and have its own set of amenities, plus a retail area with frontage on Highway 7. Buildings B and C will rise 41 and 22 storeys respectively. Both buildings have a wide choice of floorplans, with layouts that will suit anything from individuals to families. 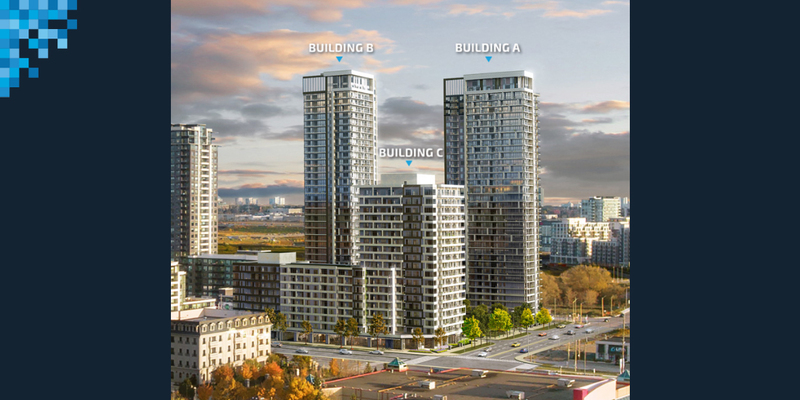 Both buildings have 1-bedroom, 1-bedroom + den, 2-bedroom, 2-bedroom + den, and 3-bedroom layouts. In building B, the floorplans range in size from 643 to 1,048 square feet, while in building C they range from 557 to 1,123 square feet. The majority of units in these buildings also come with a patio, terrace or balcony, although there are some exceptions. 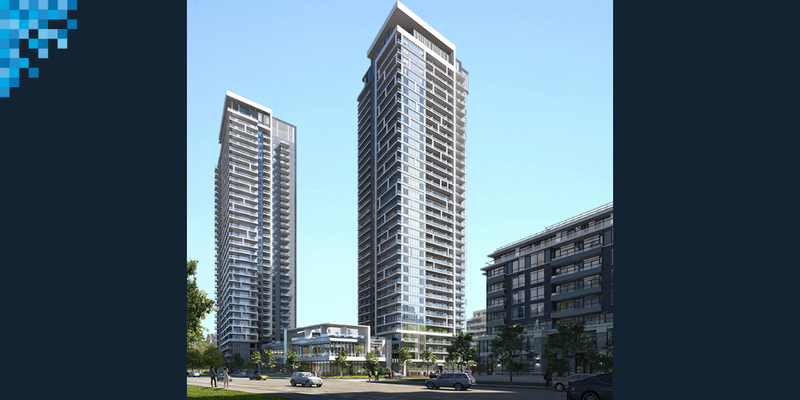 Riverview Condos is located in the new Uptown Markham area being developed by Times Group Corporation. The area borders Warden Avenue to the east and Highway 7 to the north. 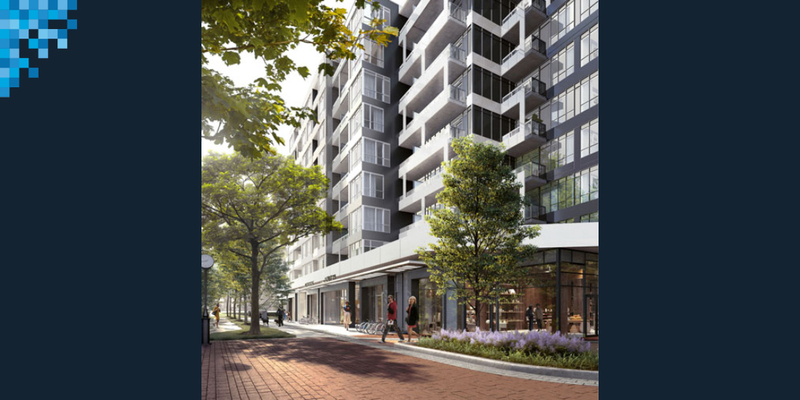 On the south side is an open green space with Rouge River running through it, which helps explain the name Riverview, as well as the names of other condos nearby (Riverside, River Walk and River Park). A shopping plaza with a Whole Foods is also part of Uptown Market, and there is an even larger plaza on the north east corner of Highway 7 and Warden Avenue. Uptown Markham really is in the centre of it all in the city. Markham Civic Cente and Flato Markham Theatre are just a stone’s throw away at Highway 7 and Warden, Markham pan Am centre is four minutes away, Main Street in Unionville is just two minutes away, and the new downtown core of Markham is just one kilometre to the south. 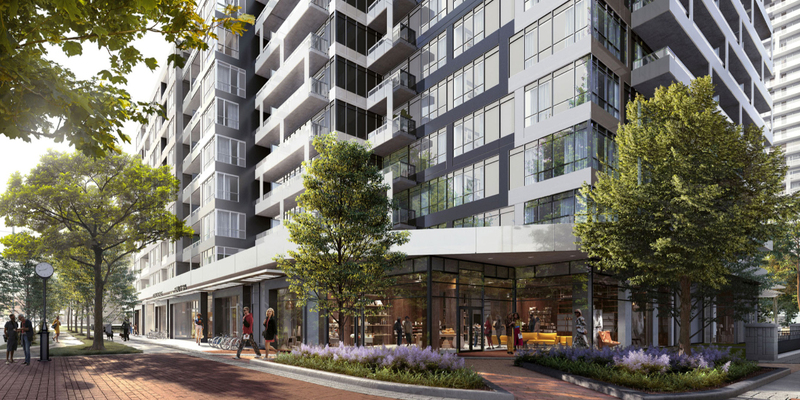 With its location alongside Highway 7, Riverview Condos is well connected. With dedicated bus lanes on Highway 7, the Viva bus services in the area can quickly move people around. Unionville Go train station is a short distance away and can be reached in as little as five minutes. From there, travelers can catch train services to Toronto, which go as far as Union Station. For car drivers, Highways 404 and 407 are mere minutes away and can help you to get where you are going.